You have probably landed on this page because of these three people. Because no one miss on to their work if they are following them. Hello and welcome.Today we are going to post paintra lyrics from Mukkabaaz movie.The is actually called paintra extended version so we might call these lyrics paintra extended version song lyrics as well. Paintra lyrics are our first Bollywood impression of great enthusiastic lyrics with a lot to meaning added to it. 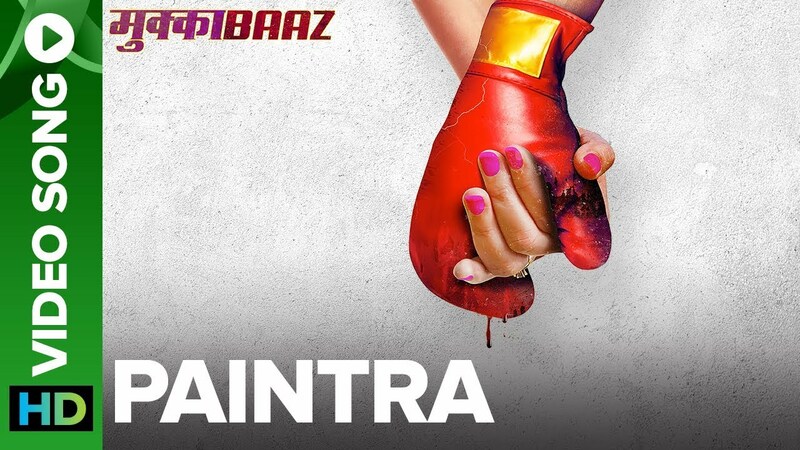 Paintra rap lyrics gives you energy.The song starts with powerful dialogues.We have also added these paintra lyrics dialogue to song.There is something rebellious to these lyrics which takes to another world where you are winning for sure. The song is sang by of course Divine.Nucleya did the music of song.This is first time when these to top guns are collaborating and making a song for Hindi cinema. So without wasting our time, let’s jump into the lyrics of Paintra song. "Apne talent ka pramanpatr le kar society me jhanda gadne nikle ho? daant chiyar ke te bhul jaoge. Pehle sahi vyaktitv ke samaksh dant nipodna seekho. Kiska biwi bacha tumhara fan hai, aur bade ghar ki kanya patane wala fanda toh haiy hai. "अपने टैलेंट का प्रमाण पत्र लेकर सोसायटी में झंडा गाड़ने निकले हो? दांत चियार के टें भूल जाओगे. पहले सही व्यक्तित्व के समक्ष दांत निपोरना सीखो. ज्यादा इम्पोर्टेंट है तुम किसको जानते हो, किसको पहचानते हो, कौन तुमको जानता है, कौन तुमको मानता है. किसका बीवी बच्चा तुम्हारा फैन है, और बड़े घर की कन्या पटाने वाला फंडा तो हैय्ये है. Do share us with your friends and your rapper friend specially. Let us know how you liked these lyrics.